High Bandwidth (15-pin HD) - 330MHz (-3dB). Power Connect System - A single connection to the transmitter powers all units when the receivers are within 150ft (50m) of the transmitter. 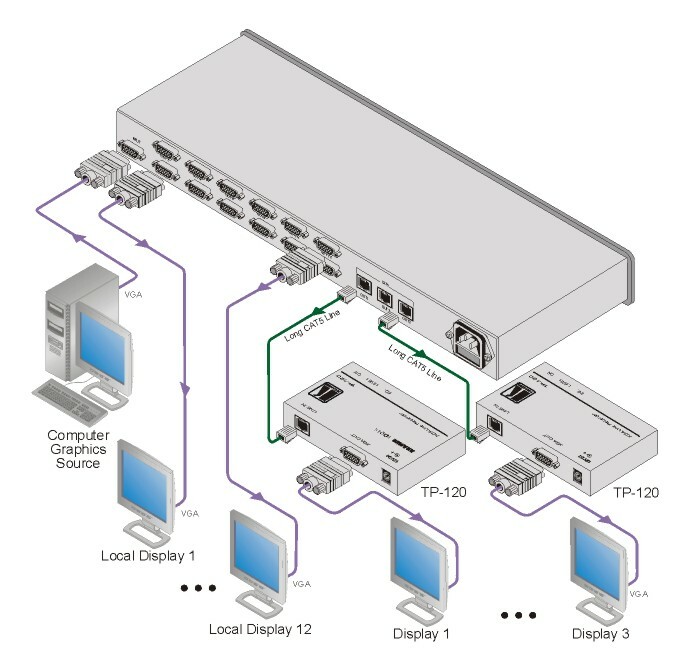 System Range (Twisted Pair) - Up to 100m (300ft). Max. Resolution (Twisted Pair) - WUXGA & 1080p.